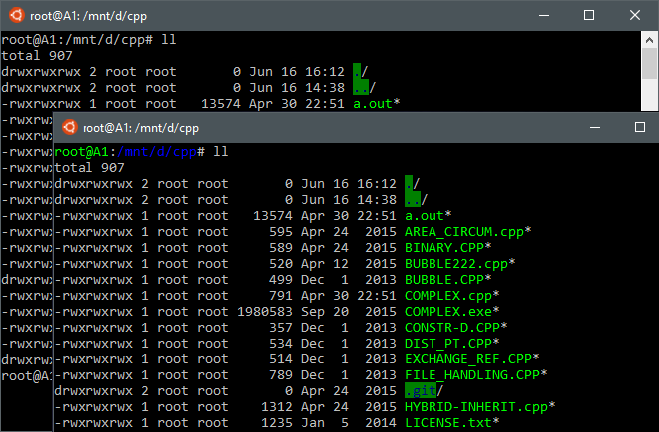 Sometimes you need tools from Linux like compiling c, cpp in gcc, grep, git. Alternatives for Windows are available but all are not efficient. Sometimes you need to try these tools, what you do is installing Ubuntu in VMWare or Virtual Box. Another alternative is Multiboot. But what if we had all these tools/Ubuntu in Windows itself? It will make it super easy to work with. You can edit files in your favorite editor and then compile in that Ubuntu, without VM, without Multi boot. 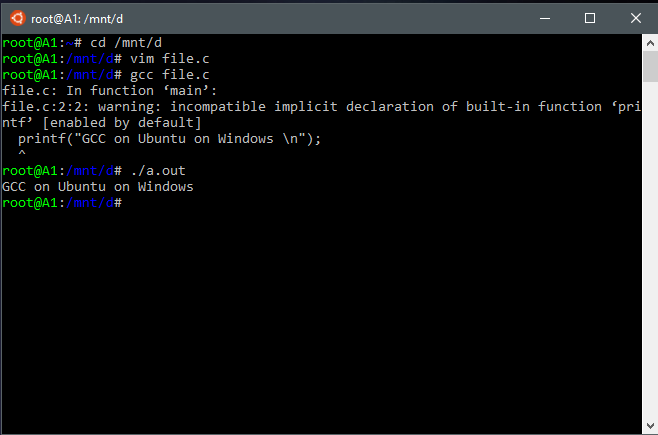 It is called Windows Subsystem for Linux (WSL). just install the insider builds, slow ring has also these feature now. Check out this, how to enable it and use it. If it asks for username after install just give root for now. After enabling it when you run lxrun /install in cmd it downloads one tar file which has untouched Ubuntu files by Canonical. and extracts it to C:\Users\Username\AppData\Local\lxss\rootfs. The tar file is downloaded in %tmp% and gets deleted after extraction. Most of the tools are working you can apt-get packages (installing apps). If the apt-get update just keep on showing updating package list, check your connection first. If you are using Bitdefender then make the current adapter trusted in firewall. Go to line number ~39 and then press i . Restart the Bash on Ubuntu on Windows. Don’t edit any files from lxss directory with any other editor than Notepad, doing that will make the files disappear from WSL. 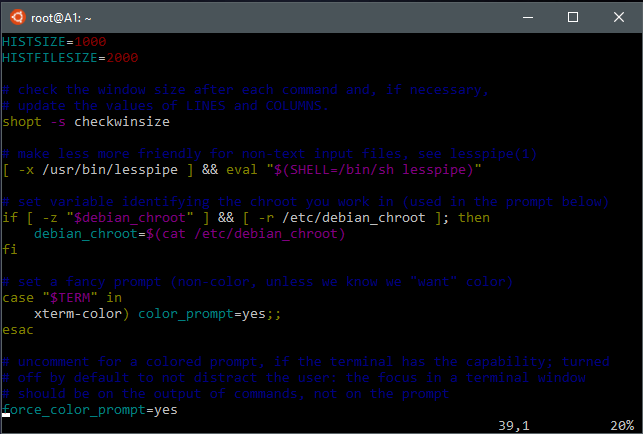 Other editors erase the extra attributes which are needed for WSL. It’s not a VM nor a ported bash like other programs available. In Computers OS has a software part called Kernel which is the intermediate between other softwares and Hardware. To implement WSL they have a driver called LXSS Core in Windows NT Kernel. This driver works as kernel for the Linux Subsystem. For communication softwares use SYSCALLS. When an software from Linux Subsystem communicates with Kernel, the call goes to LXSS Core, if possible it handles the Call on it’s own. Sometimes LXSS Core have to call similar SYSCALL from NT Kernel (like opening a file). Get it and play around with it 😀, comment down below the softwares you tried on WSL.